San Pedro Carnaval is like no other in Belize, close to being a 90-year-old event on the island of Ambergris Caye, the cultural celebration sets itself apart as one of the most unique in the world. 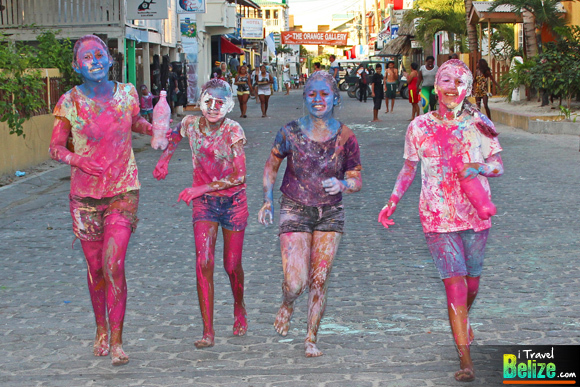 There are no parades, jump-up music or elaborate feathered-costumes like most Carnival celebrations in the Caribbean, South America or Africa, but there is street dancing and people covered in paint running through the streets trying to catch the next unsuspecting islander. 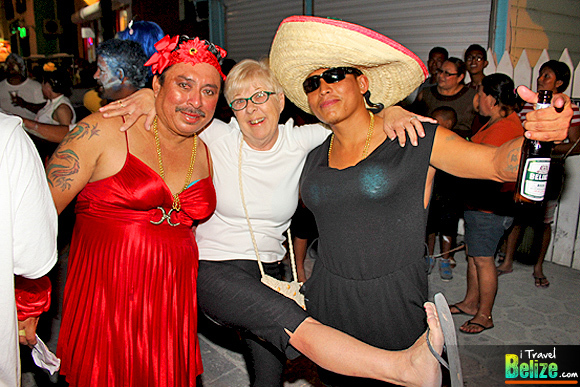 Men dressing up in drag and dancing through the streets of downtown San Pedro – there is nothing odd with that, once it is Carnaval time. 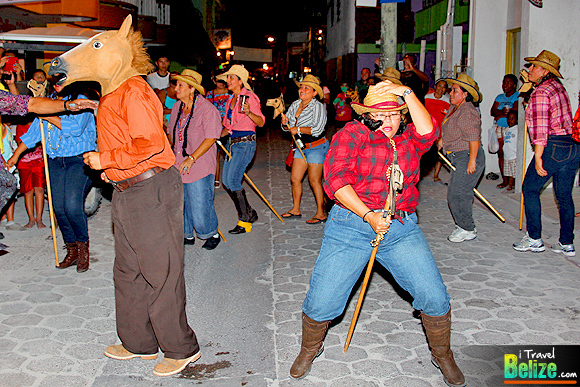 The street dancing groups, called Comparsas, are always a highlight. They have become more than just groups of people dancing on the streets. Today they are well-choreographed performances with bigger, brighter and elaborate costumes, props and music. The men’s group, whose members dress in drag, comes out in full force and is always there to give spectators a great laugh. Other groups dance to themed presentations collecting donations along the way that go towards a charity or non-profit organization. 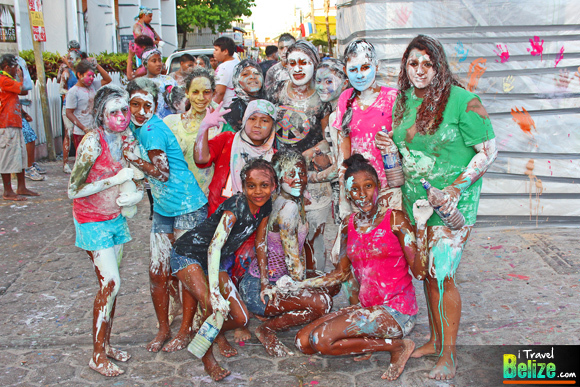 Of course Carnaval is not complete without revelers hitting the streets with paint and raw eggs in hand to mischievously paint each other; it’s the signature practice that makes the yearly event so colorful and fun. Those willing to participate in the painting can enjoy the fun in designated areas of town, mainly front street and the beach areas of downtown. San Pedro Carnaval is kicked off by cultural presentations, dances and exhibits at an opening ceremony that is followed by the three days of street dancing and painting. The celebrations fall yearly three days before Ash Wednesday and the commencement of Lent. 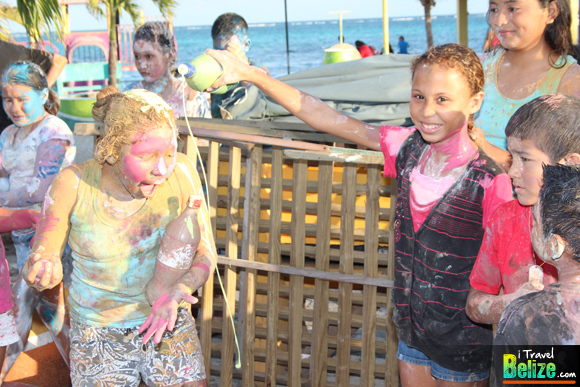 Caranval kicks off the religious celebratory aspect of Easter in the Catholic community of San Pedro. 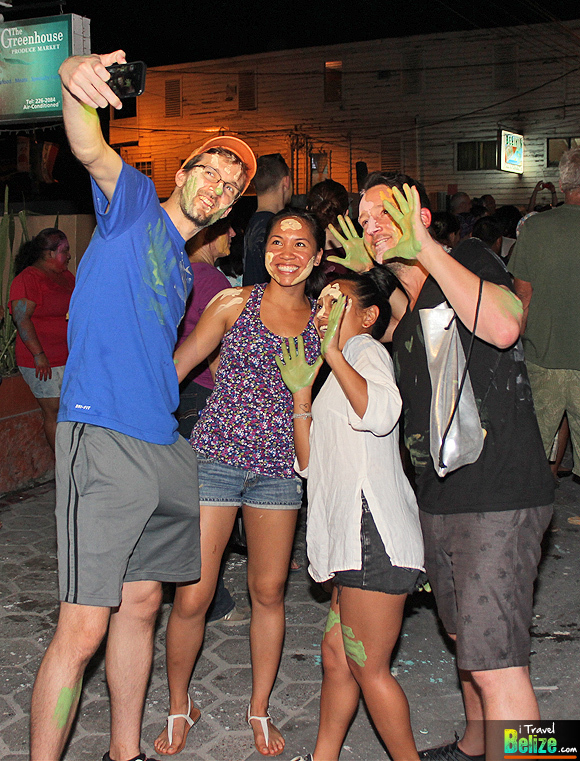 The street comparsas and painting take place in the afternoons, running into the early evening on all three days. Painting is allowed with water paint only; it is advised to use clothing that you don’t mind being ruined by paint.